Kelsea Ballerini has proven that country pop has a way of piercing through the soul and healing the hearts. She has a way of merging beautiful meaningful lyrical flows in addition to the right beats to attain an excellent fine record in most of her music gigs. She has done so well in her musical career that almost every of her released single, EP and album, have topped in one musical chart or the other. Ballerini currently serves as a judge for the singing program, The Voice and has recently taken her marital vows with one of her kind. Looks like Kelsea all has her life all figured out and is, of course, the envy of most ladies out there. Apart from the already spiced up introduction above, there are a lot more interesting fact about Kelsea Ballerini. The paragraphs below contain every answer to your numerous questions. The pop singer was born as Kelsea Nicole Ballerini, on September 12, 1993, in Knoxville, Tennessee and is the only child of her parents. Her father, Ed worked as a sales manager for a country-music radio station while her mom, Carla worked in a publishing firm. She is an American and is of Italian and English ancestry. From a very tender age, Kelsea showed interest in being a dancer and at the age of three, she started taking dance lessons but stopped when she turned 13, as she realized that she preferred singing to dancing. So, the then-aspiring-singer joined her church and school choir and started writing her own songs. Sources say that she wrote a song for her mom while she was still a teen. Having seen how perfectly she could play as a musician, Ballerini began practicing on a guitar. Regarding her education, she was a student at Central High School but later transferred to Centennial High School after her family relocated to Franklin. After high school, she proceeded to Lipscomb University to study communication and marketing. Kelsea Ballerini launched out her career at the age of 19 when she sealed a deal with Black River Entertainment and subsequently released her debut single, Love Me Like You Mean it which appeared on the County Airplay chart in October 2014. She released her self titled EP in the following month and was named as the CMT’s Next Women of Country in 2014. Her debut single later topped as the number one spot on the Billboard Country Airplay chart making her the first solo female country music artist to score a number one hit with her debut single beating Carrie Underwood song Jesus, Take the Wheel which topped as one in 2006. Ballerini also became the fifth solo female country music artist to have her first two singles following each other as the first and second position on the Country Airplay Chart. Her third single on the album, Peter Pan also topped as the number one spot on both the Country Airplay and Hot Country songs chart that same year. Sometime in 2017, Forbes named Kelsea Ballerini to Forbes’ 30 Under 30 and that same year, she was nominated for two Academy Awards; Female Vocalist of the Year and Video of the Year. In June 2017, she released her song Legends, a track in her second album, Unapologetically. The album was rated as the third place on the Billboard Top Country Album Chart and also topped as the seventh spot on the Billboard 200 Album Chart. In 2018, she announced her intents of adding four other tracks to the album, Unappologectical, and her fans have been on the wait for the release of the album. Currently, Kelsea Ballerini is one of the judges for the program The Voice. The pop singer amassed a reasonable amount of wealth with her many music escapades. She has also added a few pennies to her roles as a host on a few programs and also as a judge on the show, The Voice. In all, the singer’s net worth is estimated to be $6 million. Kelsea has a height of 5 feet 8 inches and weighs 54 kg. She possesses blonde hair and green eyes. Furthermore, it is believed that she measures are 33-24-34 inches for her bust, waist and hips sizes respectively. Is She Married, Who is The Husband or Fiance? 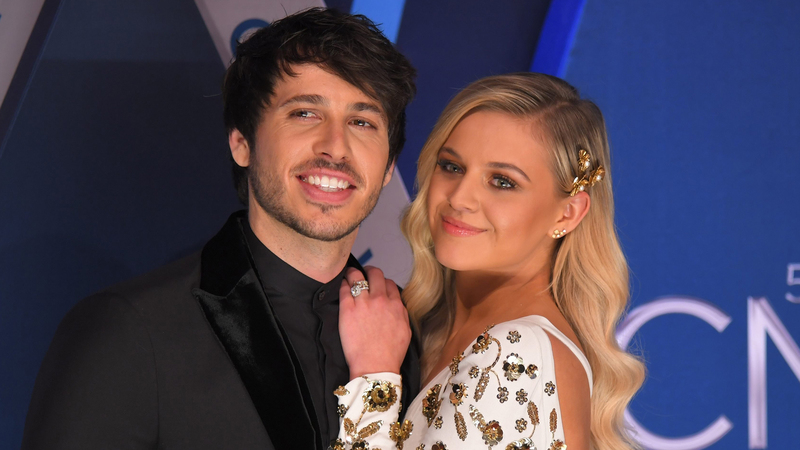 Kelsea Ballerini is married. She got married to Morgan Evans in an intimate ceremony on the beach in Cabo San Lucas, Mexico on December 2, 2017. According to records, their meeting was more like a fairy tale, the two co-hosted Australia’s Country Music Channel Awards and after performing their duties on stage, they shared a kiss. That kiss later led to an engagement in December 2016 and eventually led to a beautiful married life.